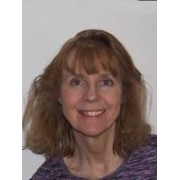 Experience: Susan has worked in all levels of education, primary through non-traditional adult, and graduate level education for over 24 years. She is a contributing faculty member at Walden University, working in the MSED CIA specialization but has also worked in the MSED Mathematics and ITC specializations in the past. Susan's research interests are related to mathematics, adult education, distance learning education, and gifted education. Susan is involved as a homeschool advisor and evaluator in her local community. Major work accomplishments include earning a Ph.D. in Education: Technology Management and working to help others to achieve their educational goals.